We San Franciscans can be a bit dismissive of the Sunset (and the Richmond) where Golden Gate Park is not involved. Lorri Ungaretti gave the truth of it in her lecture on June 20, 2013: Stories in the Sand. Before it became to be known as the Sunset, the area was known as the Great Sandbank, and the Outside Lands. It was sand and more sand, dunes, and dunes covered with vegetation. Think of the area just north of Monterey and Seaside, Sand City, and imagine that stretching a good deal further. It wasn’t part of the city until 1866, when the land was granted to the city after a supreme court decision. The quickly growing city had started to think about development. After the land was granted, the city quickly started to draw up plans. From the beginning, plans for a great park were decided upon, and 4 years later, they began work — the first efforts to smooth out the dunes of the sunset. The midwinter fair of 1894 was a big deal in the development of the area. Bringing both public transit and public attention towards these empty lands. Development was slow at first, Carl Larsen owned a lot of the land, including a chicken ranch. Old horse drawn streetcars were dumped out by the beach, and these became known as Carville by the sea, as first people used them as clubhouses, then as homes, increasingly elaborate ones, as people stacked them, and made courtyards. Eventually there was a hotel and a church. By teens and 20s they were falling apart, as people began to build more permanent homes. By then the area was known as ocean side. The first developer was Parkside, who began laying out roads, and bringing out more public transit. Other builders started to move in, R.F. Galli, Oliver Rosseau, and the biggest of all Henry Doelger (aka, per Herb Kane: the last builder of affordable housing, one nail henry). 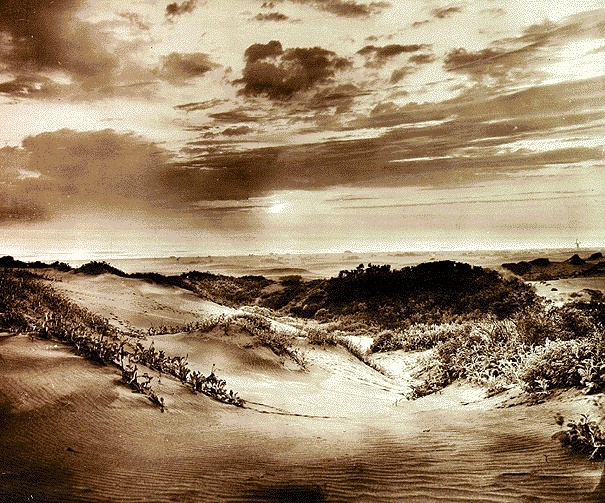 The 20s and 30s saw the dunes disappear under the development. The sand did not totally disappear though — the pioneers (as Lorri referred to them) had a to deal with blowing sand that made gardening difficult, and leaving your car outside a danger. Of course, things were not perfect — all these developers were intent on keeping Asian-Americans, and African-Americans out of these developments. These policies were not successfully challenged until the 60s (Willie Brown was the origin of one protest after he was not allowed in to view a property), when the Prop 14, the Fair Housing Act (which was protective of these racist policies) was ruled unconstitutional by the US Supreme Court. Lorri profiled a few notable people who helped shape the neighborhood: the chicken farmer Carl Larsen who originally owned much of the land, Ray Schiller — “the mayor of Parkside” — a neighborhood activist and community organizer, Josephine & Audley Cole — Josephine was the first African-American teacher in SF public schools, and Audley the first African-American MUNI driver, and the professional tennis player and WWII spy, Alice Marble. There’s plenty of more to learn. Check out Lorri’s books, and numerous articles. Check out her website for a full list of books and articles.